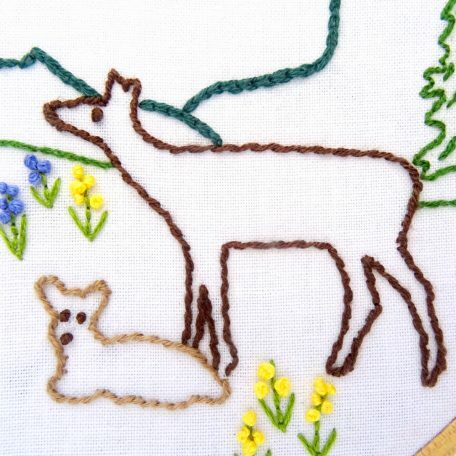 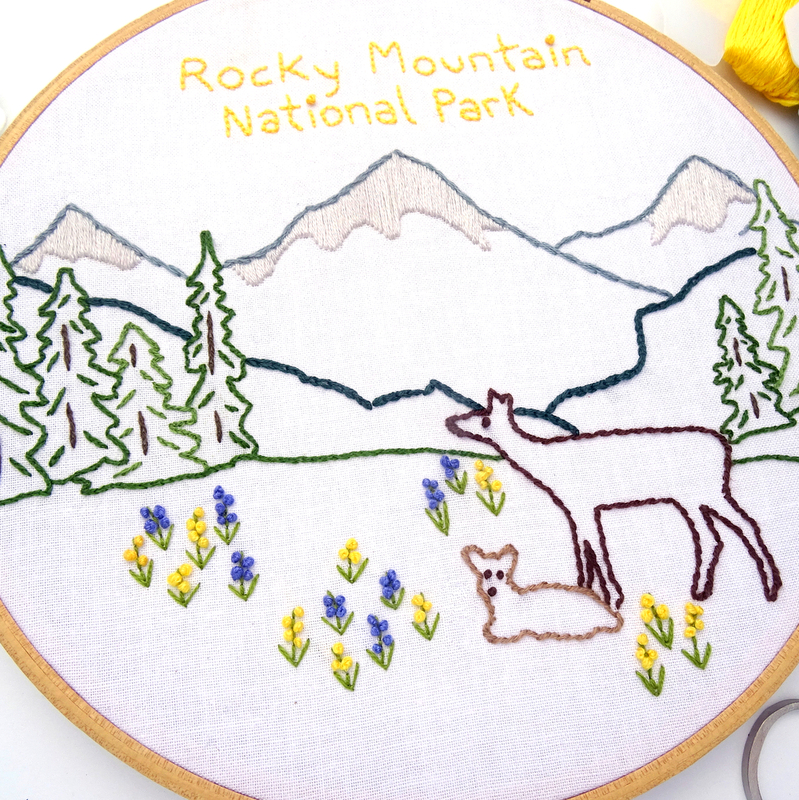 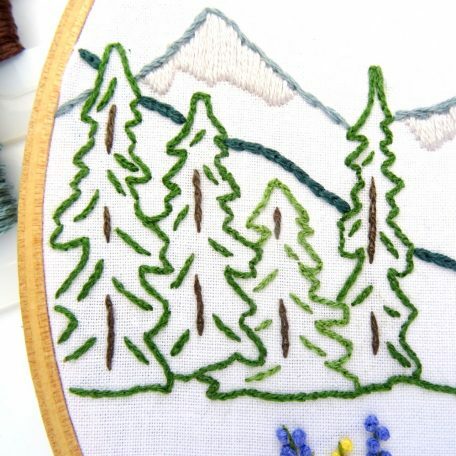 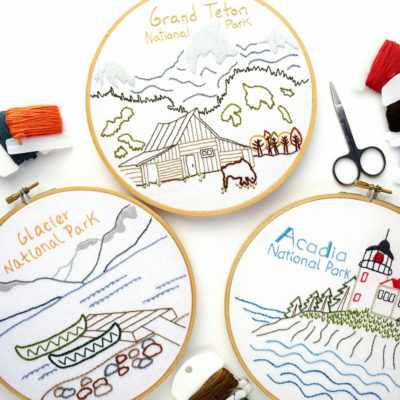 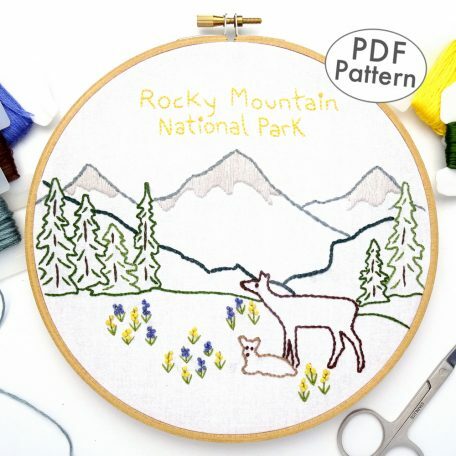 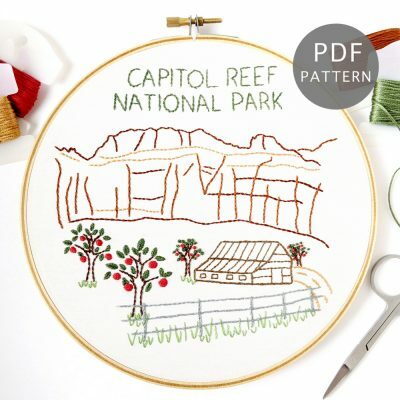 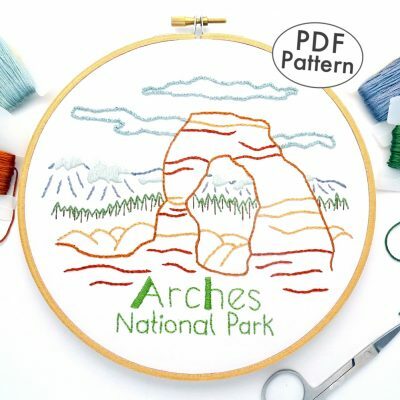 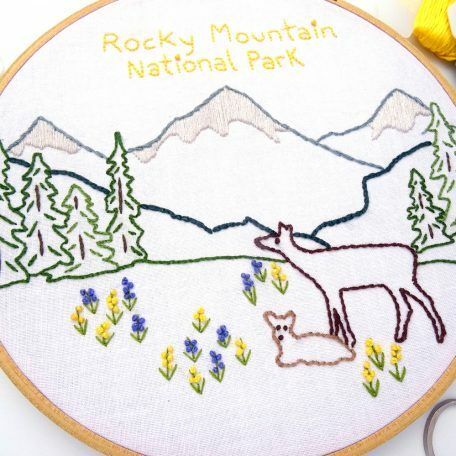 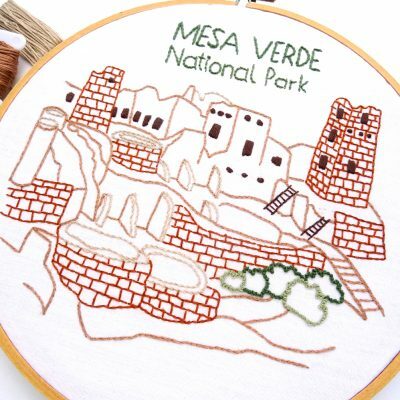 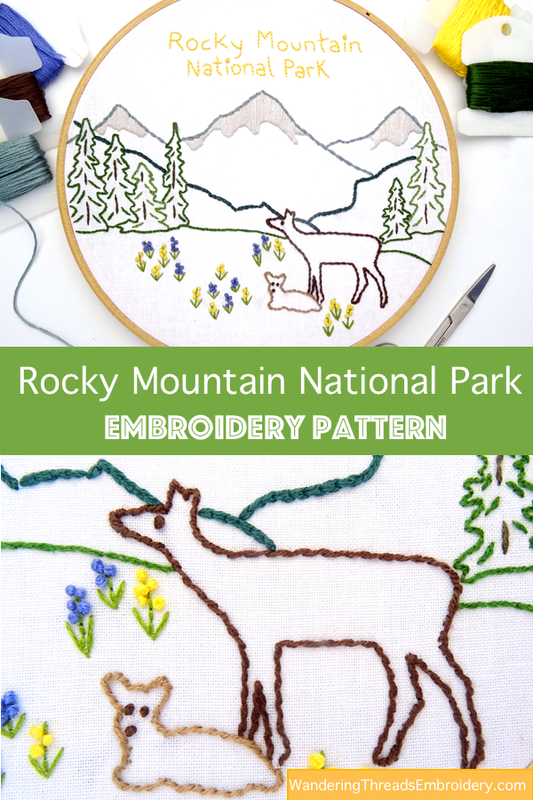 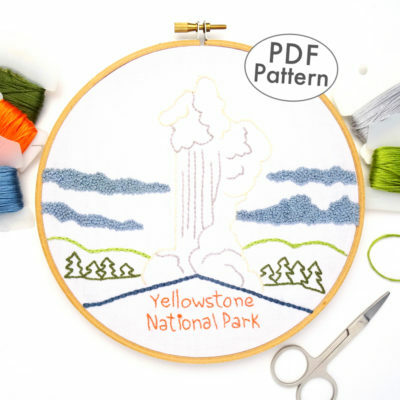 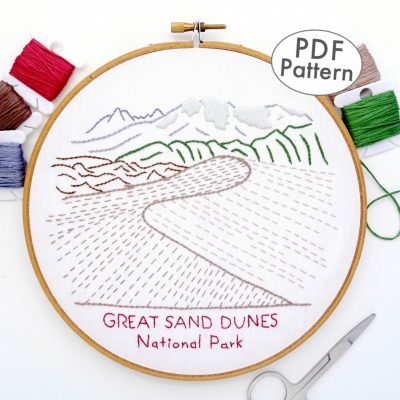 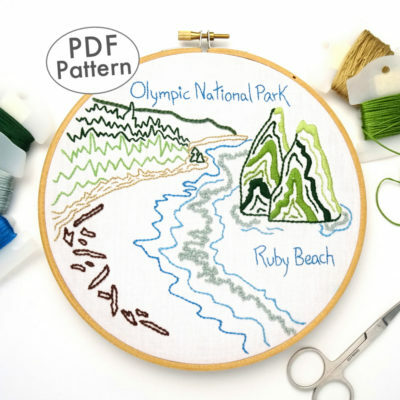 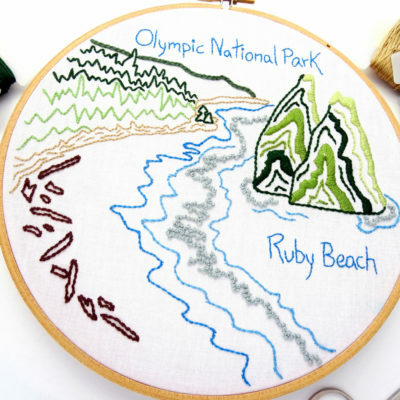 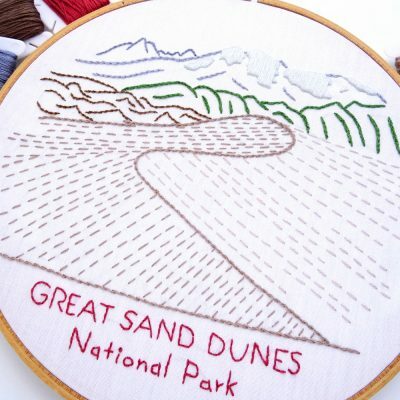 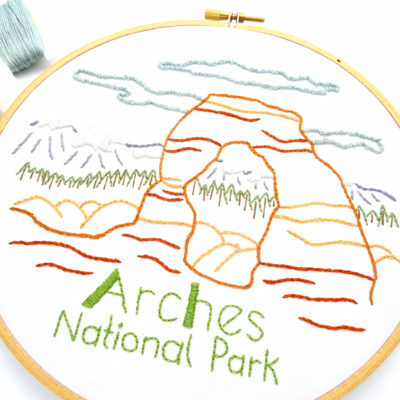 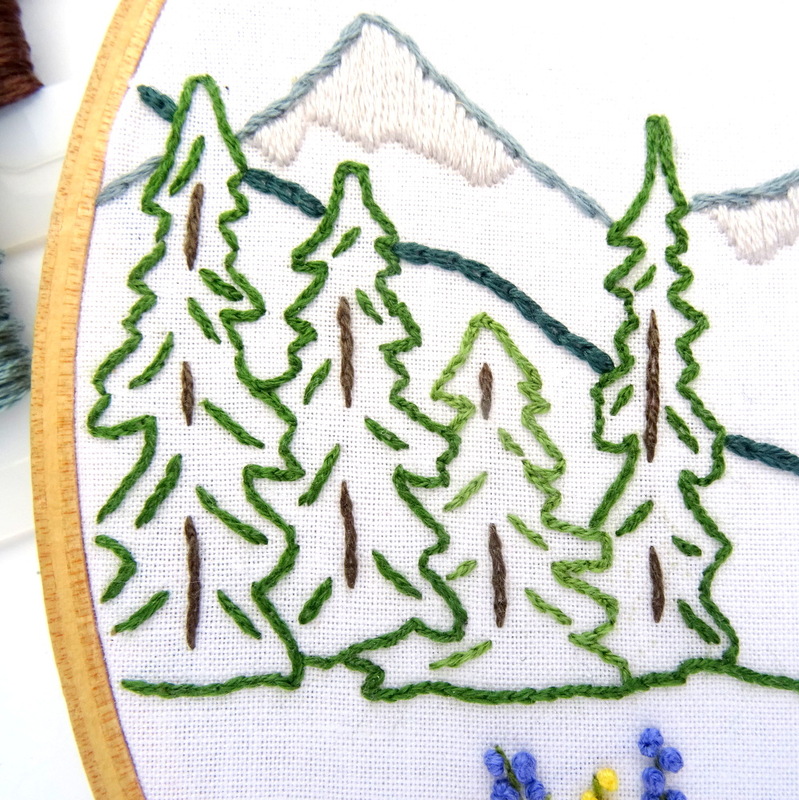 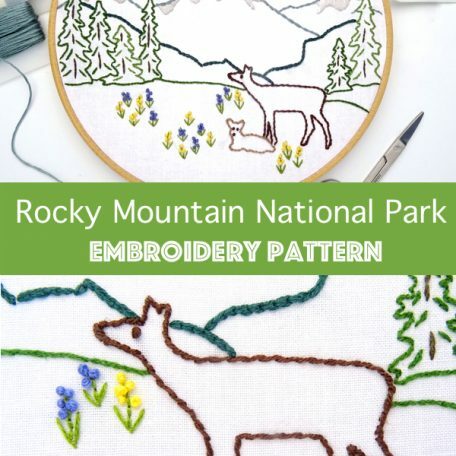 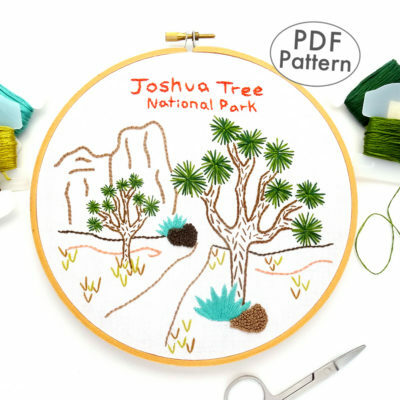 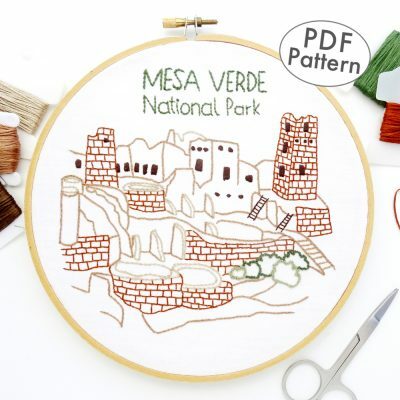 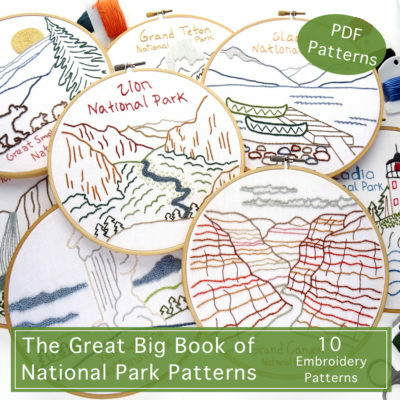 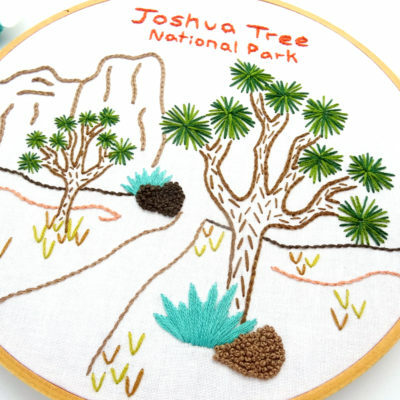 Capture the wonder that is Rocky Mountain National Park with this embroidery pattern depicting a classic springtime scene. Jagged mountain peaks dripping with snow and a dense evergreen forest are the perfect background for a mother and baby elk lounging in a wildflower-filled meadow. 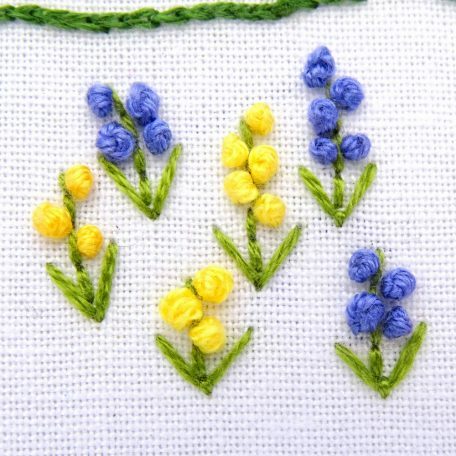 You can almost smell the flowers!